U SPORTS unveiled on October 20th, 2016. Canadian university sports have come of age over the past 110 storied years. Now, we track the future under a bold new name: U SPORTS. One title, instantly recognizable and identical in both French and English, with one goal: To give our student-athletes and national championships the visibility, appreciation and reward they deserve. The original CIAU Central was founded in 1906 and existed until 1955, composed only of universities from Ontario and Quebec. The period from 1906-1919 saw the development of university sport on university campuses across the country. The semi-national organization, CIAU Central, provided common rules and regulations. 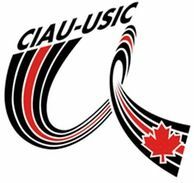 In June 2001, the membership of the CIAU voted to change the name and logo of the organization to Canadian Interuniversity Sport (CIS). This new name more accurately reflect the mission and function of the organization. Like CIAU and CIS, U SPORTS will continue its role as the leader of university sports in Canada. But we are becoming much more. The U SPORTS brand aims to create a massive change in the way Canadians see university sports in the digital era. Our commitment is to revitalize our place in the national sport conversation by using every technology possible to highlight, celebrate, and present the accomplishments of these remarkable young individuals who pursue the toughest double major of all. Full-time scholar and full-time athlete. Follow the timeline below for a complete history of university sport in Canada. The original CIAU Central was founded in 1906 and existed until 1955, composed only of universities from Ontario and Quebec. The period from 1906-1919 saw the development of university sport on university campuses across the country. The semi-national organization, CIAU Central, provided common rules and regulations. The period 1919-1944 was a relatively stable one primarily between the two World Wars. University sport enjoyed rapid growth and development with the building of extensive facilities, and the establishment of professional coaching and management positions. A growth spurt between 1944-1955 saw the CIAU Central grow into a large group of nineteen (19) member universities each of which had diverse enrolment, philosophy, and practices both academically and athletically. The result saw the collapse of CIAU Central as there was no forum to evaluate or research policy in order to adjudicate conflicts within the organization. At the same time women's programs were expanding and required organization. In 1923, the Women's Intercollegiate Athletic Union (WIAU) was founded to provide athletic competition for female students in Ontario and the Ontario-Quebec Women's Intercollegiate Athletics (O-QWICA) coordinated programs for female students in Ontario and Quebec. After the break-up , the universities divided into the Ontario-Quebec University Athletic Association (OQUAA) with 12 members and the Ottawa-St. Lawrence Athletic Association (OSLAA) with 8 members. The Ontario Intercollegiate Athletic Association (OIAA) was founded in 1959 with members only from Ontario. In the East, the Atlantic Intercollegiate Athletic Association (AIAA) was founded in 1910, with members from the provinces of Prince Edward Island, Nova Scotia, New Brunswick and Newfoundland. The association was reformulated to the Atlantic Universities Athletic Association (AUAA) in 1968 and has 10 members. The AUAA was one of the original members of the now CIAU national organization. The OIAA lasted from 1959 to 1971, at which point it was dissolved as a competing league. In 1971, OQUAA and OSLAA reformulated into the Ontario University Athletic Association (OUAA) with 15 member universities from Ontario and the Quebec University Athletic Association (QUAA) with 10 member universities from Quebec. The QUAA became the Quebec Student Sports Federation (QSSF) in 1989 as the Quebec school sport structure changed to include CEGEPS and High Schools. During this same period, the Women's Intercollegiate Athletic Union (WIAU) amalgamated with the Ontario-Quebec Women's Conference to form the Ontario Women's Interuniversity Athletic Union (OWIAA) in 1971. At the national level, the Western Canada Intercollegiate Athletic Association submitted a proposal to the National Committee on Interuniversity Competition, a sub-committee of the University Women's Physical Education Committee, and to other conferences. The proposal was presented to representatives of each conference at a meeting in December 1969. The amalgamation proposal was accepted resulting in the formulation of the Canadian Women's Intercollegiate Athletic Union with the primary purpose of organizing national championships for women. The first "unofficial" national championship sanctioned by the CWIAU was volleyball played at the University of Waterloo in March 1970. The Western Intercollegiate Athletic Association (WIAA) was founded in 1920 and included members from British Columbia, Alberta, Saskatchewan and Manitoba. In 1971, the WIAA subdivided into the Canada West Universities Athletic Association (CWUAA) with 6 members and the Great Plains Athletic Association (GPAC) with 3 members primarily from the province of Manitoba, the University of Regina from the province of Saskatchewan and Lakehead University in Thunder Bay, Ontario. Lakehead University canceled it's membership in GPAC in 1988 and became a member of the OUAA/OWIAA. With the rapid development of interuniversity sport in the late 1950's, it became quite apparent that any future successful development needed to be coordinated and administered in a centralized location. The evolution of Canadian interuniversity athletic programs progressed to a well organized level as scientific coaching methods contributed to the high level of athletic performance. to assist in developing leadership and citizenship of athletic staff. The first CIAU Secretary-Treasurer was Major Danny McLeod, Athletic Director at the Royal Military College in Kingston, Ontario. He ran the CIAU from his office at the college. Federal funding for the development of the CIAU was limited since the Fitness and Amateur Sport (F&AS) Act of 1961 had a budget of $1,000,000 available for all amateur sports. John Munro's (Minister of State for F&AS) vision for a national sport center was not realized until 1971. In the 1960's the CIAU functioned as a voluntary, autonomous, educational sport organization. Common people with common needs utilized similar goals and means throughout this era. Munro's successor Iona Campagnolo believed "growing demands for sophisticated administration and technical programs tend to be beyond the capacity of dedicated volunteers and that the universities and indeed all the educational system, are the natural delivery systems for sport in Canada" (Campagnolo, 1977). The modern Canadian Interuniversity Athletic Union (CIAU) was reconstituted in 1961 and was represented by the various universities from coast to coast. With financial assistance from the Federal Government, universities committed themselves to excellence in their sports programs, increased their schedules, and assigned coaches to year round programs to assist the federal government in identifying talent, national training centers, provision of facilities, sport research, and testing, all with an eye on developing international competitors. The F&AS budget rose from $1 million in 1961 to $20 million by the end of the decade. In the 1970's, the financial commitment was expanded to the CIAU to include funds for travel equalization, increases to national championship travel, and involvement in international competition (World University Games). The Federal Government encouraged the CIAU into high performance sport by providing the funding support. provisions of administration and technical leadership, policy direction, consultative services, financial resources to function effectively as the primary agent for excellence in sport policy. This direction from the Federal Government was viewed as a mixed blessing by CIAU member universities as some felt a loss of autonomy and a conflict of philosophy. In 1977, the CWIAU and the CIAU submitted a joint proposal to F&AS for funding support of their league travel. In 1978, the two organizations amalgamated to form the CIAU and received enhanced financial support from the F&AS, now known as Sport Canada. A final transitional step occurred in May 1997, whereby the Ontario Women's Interuniversity Athletic Union (OWIAA) officially amalgamated with the Ontario University Athletic Association (OUAA) to form one organization, the Ontario University Athletics (OUA). 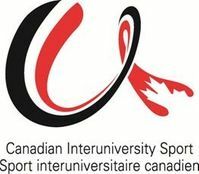 In June 2001, the membership of the CIAU voted to change the name and logo of the organization to Canadian Interuniversity Sport (CIS). This new name more accurately reflect the mission and function of the organization. Today "athletics' conveys "track and field" and the term "union" applies to labour organizations. CIS unveiled on June 10, 2010 a new acronym-based logo, the first step in a global rebranding plan and new web address www.CIS-SIC.ca . CIS has evolved into a strong Canadian brand, and has come to be know simply as "CIS". The new logo, boldly featuring the letters "CIS", reflects this revolution. The traditional black and red ribbon with maple leaf cut-out, form the foundation of this trademark. It is a transformation that began nearly a year ago with new leadership and a new vision. Now comes our new name, new brand, new mark, and soon, a new website—usports.ca—where student-athletes, fans, media and partners will find everything they need. It’s a big job in a big country. After all, we represent fifty-six universities, twelve thousand student-athletes, seventy-seven hundred games and events per year… and millions of stories. It all comes together under one brand: U SPORTS.